Ben's Whisky Blog: CÙ BÒCAN - The new expression from Tomatin! 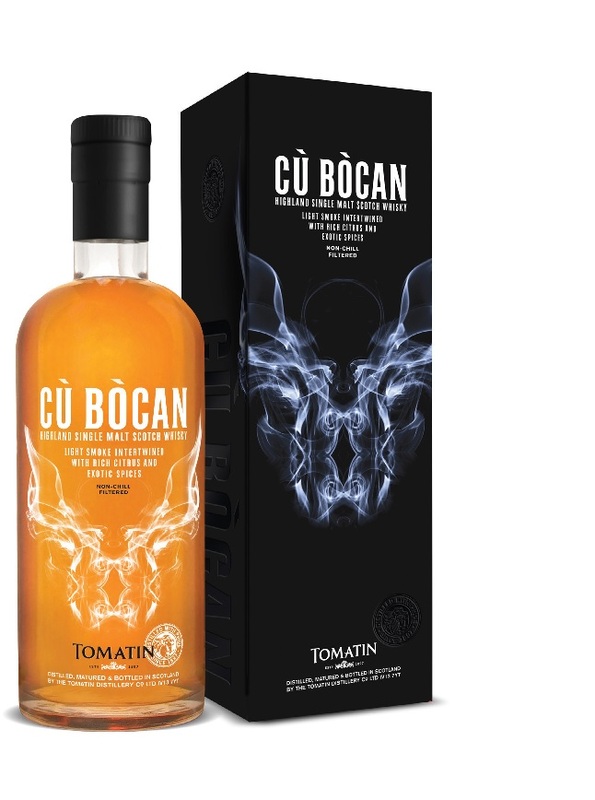 Announced just now through a twitter tasting is Tomatin's new expression, CÙ BÒCAN. 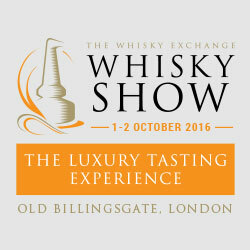 The whisky is lightly peated single malt (PPM 15) - the distillery hasn't traditionally made peated whiskies but for the last eight years has been putting aside small amounts of peated malt. This expression will be made in small batches of 60,000 litres per year - its a no-age-statement whisky with 8 year old peated malt in and the age of this will increase each year. 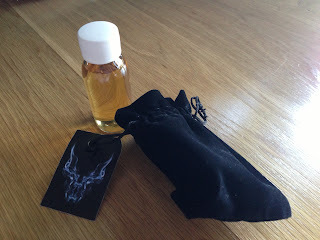 Batch 1 is 18,000 bottles and available now at http://tomatin.com/shop/index.php?_a=viewProd&productId=51. I was lucky enough to get hold of a sample for the launch, which arrived in a black pouch announcing the date and time of the unveiling. Nose - Trademark Tomatin fruit and mango, but with musky fainly phenolic backing. Structure, bold but refined. Coconut and quality street, sharp malt and new oak. Lovely integration between the new oak and sherry cask. Doesn't need water but with water the oak is more pronounced on the nose. Body - Fore-note of petrol. Tobacco and malt, virgin oak and pronounced wood. Very well balanced and powerful. Coastal development. Finish - Long and wooded, strong and smokey finish. Very bold and interesting. A slight off note at the end where the integration breaks down at the back of the finish but nothing too harsh. Very moreish and lovely to drink. 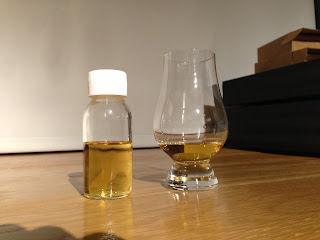 What a fanastic addition to the line up and it sounds like this is the first of many more small batch, experimental whiskies from Tomatin - at the end of the tweet tasting there was hints of a port cask finish which would be just wonderful and very exciting. This is coming home with me - love it!